Monthly reward charts! 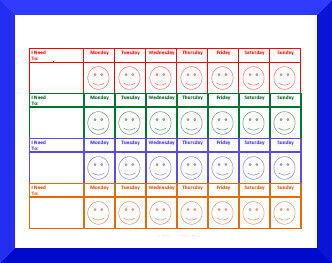 Our monthly behavior charts work great to target a single behavior for one month at a time. Track the same behavior for 4 weeks in a row or change your target behavior each week.